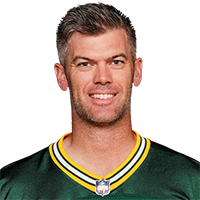 Published: Oct. 15, 2018 at 11:41 p.m.
Green Bay Packers kicker Mason Crosby sends through a perfect game-winning field goal. Published: Oct. 15, 2018 at 08:46 p.m.
Green Bay Packers linebacker James Crawford recovers San Francisco 49ers defensive back D.J. Reed's fumble on kick return. Published: Dec. 17, 2017 at 04:30 p.m. Published: Sept. 24, 2017 at 08:06 p.m.
Green Bay Packers kicker Mason Crosby hits the game-winning 27-yard field goal in OT.